You probably know that aloe is the go-to for many when it comes to repairing cut, scraped, or burned skin, but did you know that it can also be used to help improve acne? Before treating acne, it’s important to understand just how this condition affects the body, and skin. Acne is attributed to a hormonal imbalance, which can affect the function of the sebaceous glands, whose job it is to create sebum, or oil. This oil travels along the pore to hydrate and protect the skin on the surface. When too much sebum becomes clogged within a pore and pairs with dead skin cells from the surface, bacteria forms, triggering an inflammatory response from the body. This process is known as the acne cascade, and usually results in red, swollen bumps known as pimples, a symptom of acne. While excess oil certainly needs to be kept under control, stripping the skin of too much can result in dry, flaky skin, which can lead to acne by contributing to the formation of bacteria. This is why it’s important to reduce the hormonal impact on the sebaceous glands from within, while staying clean and hydrated on the surface, the latter of which rings especially true in the summer months, when temps run hot and sun can zap moisture from the complexion. To reduce the risk of external dehydration, aloe can make for a great way to keep your acne-prone skin bump and blemish free, and if you don’t have a live plant on hand, you can find aloe vera gel at most groceries and drug stores. Why Aloe for Acne-Prone Skin? Like many naturally occurring ingredients, aloe can work wonders on the skin for its healing properties. Aloe contains a naturally occurring plant growth hormone known as gibberellins, as well as glucomannan, a polysaccharide, or natural sugar, that improves collagen production when applied topically. Naturally anti-inflammatory and antibacterial, aloe is also rich in vitamins C, E, and zinc, can prevent the clogging of pores by absorbing excess oils, debris, and dead skin cells from the surface of the skin. Facial wash. To remove oil, dirt, and grime from the surface of your skin, simply mix equal parts aloe vera gel and raw honey, adding a few drops of a carrier oil such as jojoba, sweet almond, or even extra virgin olive oil. Mix well, and wash and rinse as you would your regular cleanser. Exfoliant. This scrub will be sure to wash any dead skin cells away while stimulating circulation. Simply mix a tablespoon of sugar in a teaspoon of milk, then add about 2 tablespoons of freshly squeezed aloe or aloe vera gel. Stir well, and rub gently in circular motions onto clean skin. Rinse away with lukewarm water, and pat dry with a clean towel. Toner. You can really kick inflammation to the curb by creating an acne-friendly toner with apple cider vinegar (ACV.) To make, mix a splash of ACV with a splash of water, and add about a tablespoon of aloe vera gel, mixing all together well. Dip a cotton ball into the solution and dab over clean skin, rinsing away after about 15 minutes. Mask. Unlike the typical drying clay mask, this acne-fighting treatment will moisturize while it improves, using the power of antibacterial and antifungal tea tree oil. To create, combine a few drops of tea tree oil with about a tablespoon of aloe vera gel, apply to skin, and rinse away after 25 minutes. Acne scar treatment. This trick doesn’t require anything more than going straight to the source - the leaf of an aloe plant. Simply snip off an end with clean scissors or a knife, and rub aloe gel directly onto acne scars before bed, leaving on overnight, and rinsing away with cool water in the morning. While aloe and other topical remedies can go a long way in keep in the surface of our skin clean and soothed, it will do little to treat the condition of acne as it fails to address the root cause - over-producing sebaceous glands. Showing your complexion some love is a skincare step that should never be skipped, but real change occurs from within, and requires a systemic solution if you want to achieve real, lasting results. Luckily, our AcnEase® users are able to have total peace of mind and the opportunity to get the best complexion possible. Why? Because they are on a treatment that actively works from the inside 24/7 to get rid of their acne naturally and with zero side-effects. 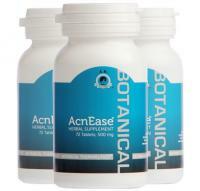 The herbal ingredients used work to effectively create a barrier between the hormones and the sebaceous glands, ensuring that only the amount of sebum needed to protect and hydrate the skin is being produced, making for a gentle treatment that delivers real, long-lasting results, regardless of the severity of your acne symptoms. We want to hear from you! 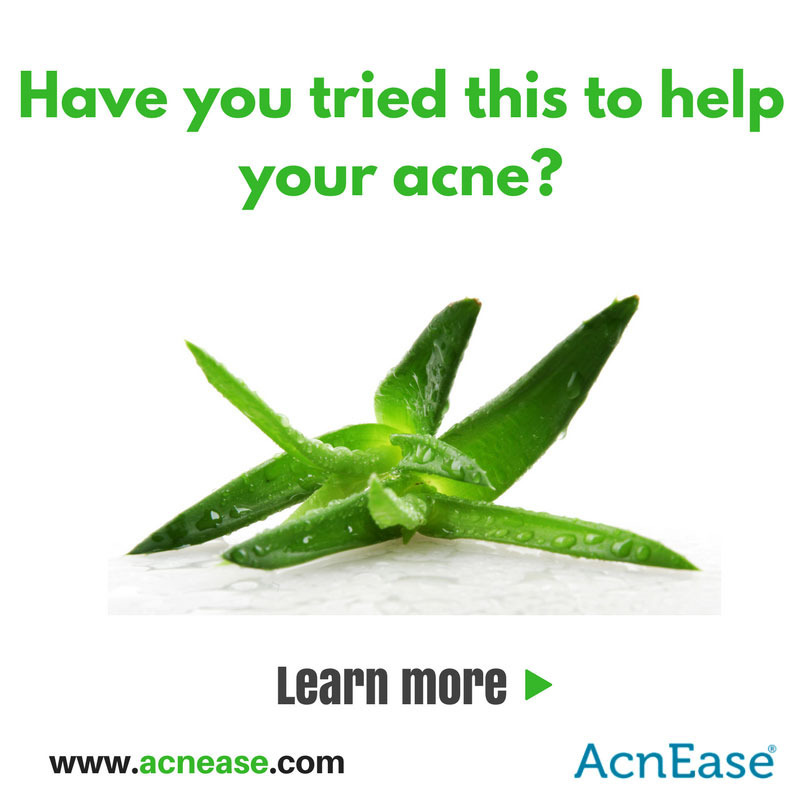 Have you ever used aloe as a topical remedy for your acne symptoms? Have any favorite ways to add this to a skincare routine? Tell us in the comments!